Microsoft has lopped a chunk from the Xbox 360 price in Australia, leaving it costing A$399 (£166). It follows similar price cuts over the last couple of weeks in the United States and Canada. The new price for the Core console is 20 per cent less than a year ago, in fact it now costs the same Down Under as the mega-selling Nintendo Wii console. Meanwhile, the Xbox 360 Premium has also had a price cut. It now costs A$549.95 (£229) which is £50 less than it costs in the UK. 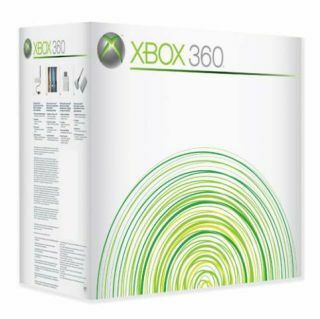 Now that the Xbox 360 price cutting bug has spread to Australia, it seems much more likely that we will see a similar move by Microsoft in Europe and the UK. The console is currently around £70 cheaper in the US than in the UK, which is leaving many wannabe gamers disgruntled. Microsoft has not commented on what has sparked these new price cuts. But two reasons immediately jump out at us. Firstly, that $1billion bill for fixing all those borked 360 consoles is leaving Microsoft's gaming arm in need of a sales boost-induced cash injection. Secondly, all Premium consoles are now being manufactured with HDMI ports. This means that Microsoft is probably quite eager to clear out old stock to prevent the stock becoming obsolete while it's still on the shelves.